Call 0161 696 9685 Free Advice Open 7 days a week 9am to 9pm. Slipping And Falling On Ice Injury Claims Guide – How To Claim Compensation? – How Much Can I Claim For Slipping on Ice? Have you suffered an injury after slipping and falling on ice? If so, this guide will provide all the information we believe you need to make a fully informed decision about how to make a personal injury claim. Look at how much you could claim for different types of injuries. Our advisors are here seven days a week from 9am to 9pm to answer your queries and questions. Read this guide to find out more and when ready, call us on 0161 696 9685. What Is A Slip On Ice Accident? How Much Can You Claim For Slipping And Falling On Ice? Am I Eligible To Claim For An Icy Slip Accident? How Much Time Do I Have To Claim Compensation? When colder weather comes it can often be accompanied by potentially dangerous icy conditions on the pavements and the roads. If the pavement has not been sufficiently gritted, or if patches of black ice have formed, it is very easy for a person to suffer slips and falls on ice. In many cases after slipping over in icy conditions people will not be injured, however, this is not always the case. According to slipping on ice injuries statistics for hospitals in England, in 2012/ 13 7,031 people were treated for related injuries. In some instances, there may be no one at fault, as bad weather can cause unexpected disruption or be worse than predicted. However, in many cases, there will be someone at fault for your injury. There may have been insufficient gritting, or a failure to put warning signs in place. If your fall could have been prevented we could help you to make a successful personal injury claim against the party responsible. Whilst we can not expect others to control the weather, there are very often steps which they can take to ensure your safety. At its simplest, this is an accident whereby the victim has slipped or fallen over on a patch or ice or snow. The accident could have taken place on private property or on public highways. Snow and icy conditions can be dangerous whether travelling by vehicle or by foot and whilst unnecessary journeys should be avoided, daily life does have to carry on. Walking on icy pavements can’t always be avoided and parties responsible for the maintenance of footpaths (such as a council for the pavement, or a shop for entranceways) have a responsibility to prevent the buildup of ice and accidents happening. You can claim for slipping on ice if the party responsible has acted negligently and has not taken reasonable action to prevent accidents happening. It is possible you found this guide whilst searching for a personal injury claims calculator. Understandably, if you have suffered any type of injury in a preventable accident, you may wonder if you are owed compensation, and how much this compensation may be worth. Settlements are generally calculated by looking at two types of damages, general damages, and special damages. We will look further at how claims are calculated in the next section, but here we shall look at general damages. General damages are awarded for the injuries a person has suffered and follow guidelines set by the Judicial College. Whilst these figures are not established in law, it is commonplace that personal injury solicitors and even the courts will follow them. In this personal injury claims calculator table, we look at example figures for different types of injury. Wrist injury Loss of function £41,760 to £52,490 Loss of function in the wrist. Wrist injury Permanent disability £21,480 to £34,340 Significant disabilities, but where there remains some function. Wrist injury Less severe £11,040 to £21,480 Could result in some level of disability, such as stiffness or pain. Wrist injury Fracture Rarely exceed £8,970 Where you will recover at some point, could take a long-time to do so. Neck injury Minor £2,150 to £3,810 Recovery will take three to twelve months. Neck injury Minor Up to £2,150 Full recovery expected in three months. Shoulder injury Serious £11,200 to £16,830 Could include a dislocated shoulder or a fracture which restricts how you can move your shoulder. Shoulder injury Moderate £6,920 to £11,200 Injuries such as a frozen shoulder or or other injury restricting movement. Head or brain injury Minor £1,940 to £11,200 Including minimal brain damage and symptoms such as headaches. Arm/ elbow injuries Minor to moderate Up to £11,040 Including elbow injuries which you can recover from and which will not cause permanent damage to the elbow. Income, earnings and workplace benefits which you have lost. The cost of medication and medical treatment you have needed. The impact on your day-to-day life, such as social life and other activities. How your family has been impacted. The primary causes of injuries in slip and fall in ice cases is the combination of adverse weather conditions and inadequate safety precautions or actions, such as not adequately gritting pavements or roads. Freezing temperatures, snow and rain can combine to create icy pavements and patches of very hazardous black ice which could cause you to have a slip and fall on black ice. At a place of work. At a train or a bus station. On a school or hospital grounds. Slip and fall on ice injuries will commonly happen on public streets and pavements. If you have slipped on ice or snow you could have suffered minor, moderate or even serious injuries. If you slipped over on ice because your council has been negligent in maintaining the street safe to use, you could have the right to seek damages from them. According to the 1980 Highways Act, your local authority is responsible for maintaining roads and pavements, ensuring that they are safe for members of the public. They have a legal duty of care to take steps which are reasonably practicable to keep you safe. What ‘reasonably practicable’ means is that whilst the council has a duty of care, there are circumstances in which the council may not be liable. Whilst a council has a responsibility to grit pavements in icy weather, they are not expected to do so for every pavement or road in their area of responsibility. Due to logistical or financial factors, this may not be considered reasonable. I’ve slipped on ice or snow in a public place, can I claim compensation? The simplest answer to what can be a complicated question is that you may be entitled to make a claim. Public places can include squares, pavements, roads, and pathways. And as seen above they are generally maintained by local authorities if a pavement or local road, or a national highway body in certain cases. The party responsible has a duty of care to take reasonable steps to keep people safe. If they have failed in that duty and you were injured, speaking to a personal injury solicitor can help you to clarify your right to claim compensation. 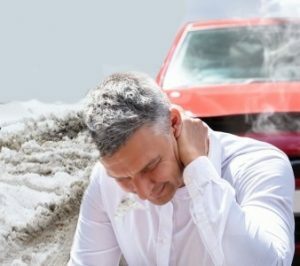 Next to public places, shops, shopping centers, supermarkets, and retail parks, as well as their associated car parks are also places where you can suffer injuries caused by slipping or falling on ice. Under the 1957 Occupiers Liability Act, the occupier of any premises (such as a shop, retail park, car park owner/ operator), has a duty of care to ensure peoples safety. These extend to reasonable steps in the same way as applies to councils above. They must ensure that visitors are kept from harm whilst on their premises. They are therefore obliged to ensure that a walkway, path, and car park are kept clear of snow, ice, and black ice. Clearing pavements and walkways early in the day. Not using water as this can refreeze on the ground, creating patches of ice. Using salt and grit to prevent overnight freezing. If you have been injured by slipping on ice in car park or shop, speak to an expert advisor. Whilst local authorities have large areas of pavements and roads to cover, there are some areas which should be prioritised by a council. These areas include school grounds and outside schools, high streets, and around hospital buildings and entrances. As the Occupiers Liability Act conveys a duty of care on shops, it also conveys the same duty of care on a school to ensure grounds staff and children are using are safe to do so. If you (as a parent) or your child slipped on ice, or if you slipped on ice at work at a school, you could claim compensation. If you were injured in the workplace because your employer had not maintained external areas they are responsible for, you may have sought this guide to answer the question “I slipped on ice at work can I sue?”All employers owe their staff (and others on their premises) a duty of care in law. In practice, this means that they should take every step reasonable to make sure people are kept safe and free from harm. To stop you slipping on ice, they should make sure that any paving, pathways, car parks or other external areas are kept free of snow and/ or ice. If you are considering making a claim for slipping on the ice against your employer, it will be their insurance provider and policy, not the employer themselves who will settle the compensation claim. Can you claim for slipping on ice at work? As long as you can show your employer was at fault, you may be able to do so. Remember, if your employer tries to dismiss you for making a claim for an ice slip and fall, you may also have a case for unfair dismissal. A head injury and/ or a concussion. An arm or wrist injury. Breaks and fractures, such as hip fractures. As a claimant, you may have suffered just one of these injuries, or you could have suffered a combination of different injuries. The effect of your injury may have been relatively mild, or it may be more serious and impair your ability to carry out daily activities. To find out if you can sue if you slipped on ice, talk to a personal injury solicitor. As with making any type of personal injury claim, you need to make sure that you are eligible to do so. Two of the main criteria are that you are bringing your claim within the applicable personal injury claim time limit. Secondly, that (in this case) you had an ice slip and fall because of someone else’s action or negligence. There are several pieces of information which we will need to know in order to check you are able to make a claim. We need to know where and when your injury happened, and the circumstances relating to how the accident happened, and the injury you suffered. Don’t worry if you don’t have the exact time or date of the accident or the precise medical details of your accident. You just need to provide us with initial details and we can start assessing whether or not you have claimed. Here we will look at a case study involving a claimant who suffered injuries after slipping and falling on ice in a car park. The claimant was on the way to attend a meeting and parked in a public car park which was situated close by. The claimant did note that the car park was icy when first driving into the car park, and as such, parked close to the entrance. They were able to safely exit the car park on foot. However, on their way back to the car later, the claimant slipped over on a patch of black ice. It was established that the car park had not been gritted and that this contributed to the black ice developing. The claimant were to hospital and was diagnosed as having an ankle fracture. It was determined that they would require surgery. During the recovery period they required assistance to carry out daily activities around the home. She was also unable to participate in her hobbies, such as riding a horse. They also experienced a consistent level of pain requiring co-codamol, paracetamol and ibuprofen. The claimant had to take five months off work, eventually leading to voluntarily leaving their position, as the role involved long-distance driving as well as lifting and carrying. They subsequently took a new, desk orientated, job. The car parks operator admitted their responsibility and a slip and fall on ice settlement amount of just over £35,000 was agreed upon. No matter what injury you have had, nor the cause of the accident, in order to make a claim with a personal injury lawyer, you need to do so within the applicable personal injury claims time limit. As these can be different in different circumstances, we have included this table to help you understand if you can sue if you slipped on ice. Slip and fall on ice injuries to a child Claim can be made by an adult from accident till 18. After this the child then has three years. CICA criminal injury claims 2 - 3 years depending on case Time limit counted from criminal act or discovery of injury. To find out if you are within the applicable time limit. Contact a specialist solicitor. To make any personal injury claim there are several steps which you need to go through. Gather together evidence related to your claims, such as photographs, medical records, and other information. We may then organise a further medical examination both to ensure that you are getting the right treatment and to provide additional evidence. If you have an eligible claim we could then offer you a no win no fee agreement. No win no fee or conditional fee agreements are a way for people to make a personal injury claim without having to worry about financing a solicitor and their expenses. They were created so that as a claimant who could well have suffered a serious financial impact, you don’t need to pay potentially expensive hourly rates for solicitors services. Whilst you can find out more in this guide to no win no fee claims, the most important thing to remember is that you will only have to pay anything if and when you win your claim. If you have suffered an accident you will probably have questions about slip and fall on ice settlement amounts or whether you can claim for slipping on ice. To get the answers to these and many, many other questions, please contact our experts and follow the simple personal injury claims process set out below. Start by getting in contact by email, contact form, or phone call. We will take down the details of your claim and review your case. If you are eligible, we can start your claim. To find out if you can claim compensation for slipping and falling on ice and if you are eligible for a no win no fee agreement, talk to one of our experts using the following methods. You can phone by using the number at the top of this page. You can send a message by clicking ‘contact us’ at the top of the page. You could email our advisors via claims@advice.co.uk. In the following related guides, you can find additional advice on what you should do after an accident and how to claim for different types of injuries. In this guide, we provide advice on how you can claim compensation for injuries caused by a slip or fall in a variety of other circumstances. If you have slipped on ice at work, find out if you can sue for damages in this explanatory guide. Some of the most common injuries seen in slip and fall in ice cases involve the ankle. Find out more about this type of claim in our guide. © 2018 Advice.co.uk. All Rights Reserved.